Blazing fast 5G wireless networks are still several years away but those in select regions of Singapore won’t have to wait very long to get speedy connectivity. 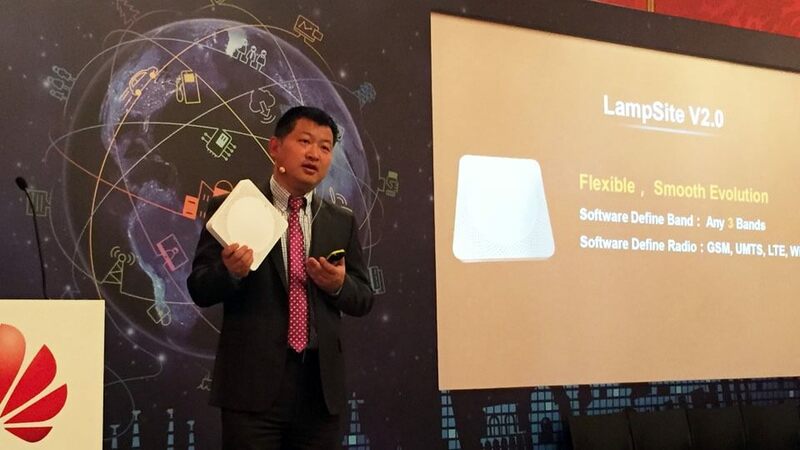 Singapore wireless provider StarHub is partnering with Chinese telecom Huawei on a project that’ll roll out small cell networks throughout the country’s central business district. The new network, dubbed 4.5G by CNET, will reportedly reach speeds in the 1Gbps range when it goes live next year. As you might expect, there are some caveats. For starters, the service will only be offered in Singapore (at least, initially). What’s more, due to the nature of small cell network technology, 1Gbps-class speeds will only be attainable indoors (in office buildings or shopping malls, for example). Oh, and none of today’s latest handsets will be compatible with the new network. Compatible devices won’t arrive until closer to the network’s rollout around Q2 of 2017, we're told. Shortcomings aside, the small cell networks are said to improve efficiency. StarHub says they allow for twice the number of users in the same room without the need for buffering or signal losses. If you’ve ever tried to use your phone at a very crowded venue – like a football game, for example – then you’re well aware of the impact that tens of thousands of simultaneously connections can have on a network. True 5G wireless networks aren’t expected until 2020 at the earliest (and then, only on a very limited basis).